Police have extraordinary power to detain and arrest people, to deny them their liberty and even their lives. While most understand the risks and responsibilities that come with the job, there are those whose abuse of that power has sometimes horrified the city. Just this summer, Philadelphians watched a viral video of former Officer James Yeager that appeared to depict him lifting up a handcuffed suspect and bashing the suspect's head on the side of an above-ground pool. Yeager was arrested last week on aggravated assault and related charges. The sequence of events, from the alleged assault caught on a video to the arrest, demonstrate that the best antidote to alleged abuse is transparency. 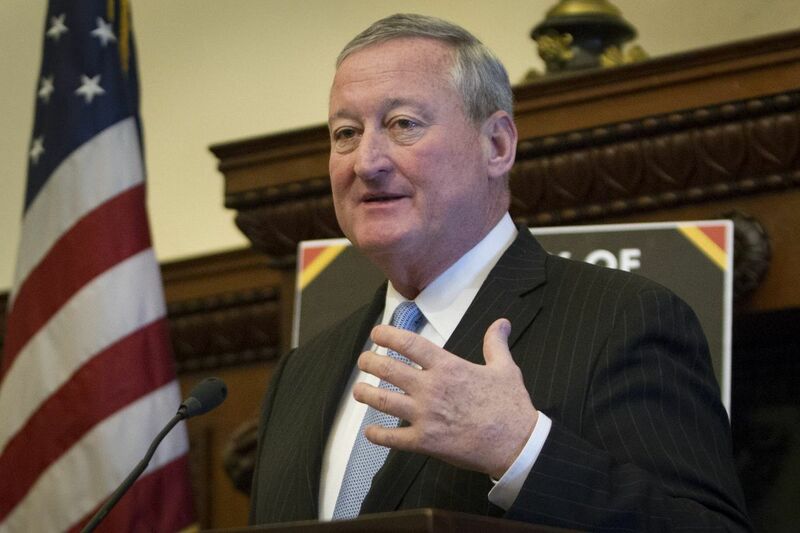 That's why we're troubled by Mayor Kenney's new dictum that police names be redacted from online records of closed investigations detailing alleged police misconduct. Police who are the subjects of citizen complaints are identified in the records only by their initials, leaving the public to guess the names of the accused. The mayor reversed a longtime practice of allowing the public to see complaints after they had been investigated and closed. Those complaints included not only the names of the officers but the people who'd made the complaints. The information is critical so that police activity and behavior — even that which is disputed — is not kept behind a shroud of secrecy. The Inquirer in 1995 reviewed 2,000 civilian complaints and learned that serious offenses led to minimal punishments. For example, an officer found guilty of beating a man who had undergone a kidney transplant was given a five-day suspension. That same officer has repeatedly been sued for alleged abuse, and last year the city settled a case for $1.25 million where a woman said he sexually assaulted her. The officer remains on the force. But now, with the changed policy, you can no longer find his name in the complaints. First Deputy Managing Director Brian Abernathy says the policy is evolving and is an attempt to balance the officers' rights to privacy with the public interest of ensuring that police misconduct is taken seriously. That is an important balance to maintain, and police, who often put themselves in harm's way, surely deserve due process. But police are, after all, public servants with enormous powers. People deserve to know more about the small fraction who abuse that power. And frankly, the department's record is hardly unblemished. In 2013, the city paid $14 million in settlements from civil rights lawsuits; the year before the figure was $8.3 million. Five years before that, it was $4.2 million. Another important record, dubbed the "Do Not Call List," was made public this week thanks to a court order. It is a list of officers that the District Attorney's Office found so untrustworthy that prosecutors were urged to think twice before calling them to testify in criminal cases. The officers' histories of alleged misconduct, including lying, racial bias, and brutality, rendered their testimony impeachable. City residents and visitors need to trust that police have their backs. There can be no trust without verification, and no verification without full transparency.